A survey conducted just before the tax took effect has found that most Seattle adults supported the measure, though the tax was less popular among black and Asian respondents and people with lower incomes. Seattle has collected more than $10 million in the first six months of its tax on sugar-sweetened beverages, raising the possibility the tax could generate more money this year than anticipated. It’s so far unclear whether buying habits are changing. But researchers have yet to complete analyses of consumption and sales patterns in the first months of the tax meant to discourage unhealthy choices, so they know nothing for certain about its impacts. “We know very little about consumer behavior specifically related to the tax,” said University of Washington epidemiology professor Jesse Jones-Smith, who’s leading a study on the policy. The department expects that number to rise because some second-quarter checks are still in the mail, she said. Also, some businesses file their taxes annually, rather than quarterly. Before the so-called soda tax began in January, officials estimated it would raise $14.8 million in 2018. They didn’t calculate quarterly estimates. 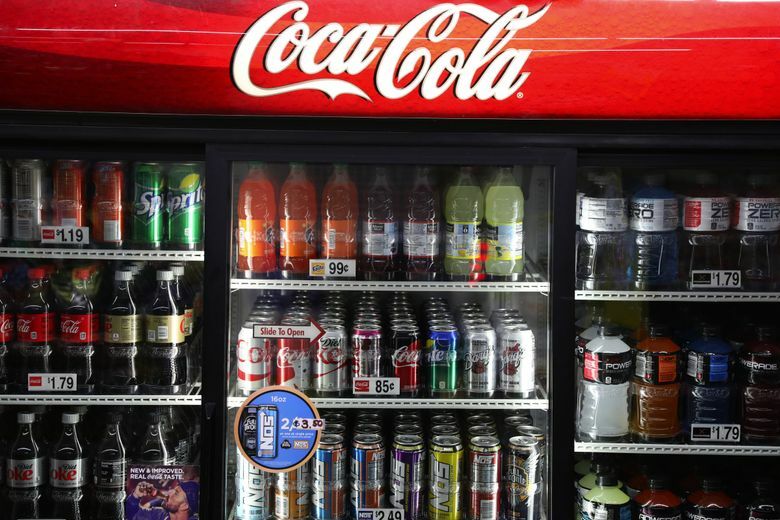 Officials haven’t said why the tax may raise more money than expected and whether the tax may be failing to steer consumers away from sugary drinks. Perhaps officials underestimated how much money the tax would raise, Jones-Smith said. Or perhaps the tax is in some cases being mistakenly collected on items not actually covered by the measure, she said. It also may be that collections will decline in the second half of the year and the city’s estimate will be proven accurate. “We’ll have a better idea soon,” the professor said. The tax is 1.75 cents per fluid ounce on the distribution of sugary beverages, syrups and concentrates. The City Council passed it last June, exempting diet sodas. The council also exempted drinks with milk as their primary ingredient, such as sugary, flavored lattes, and small manufacturers, such as Rachel’s Ginger Beer. Though Seattle’s tax is being paid by distributors, they can choose to pass the tax on to supermarkets, convenience stores and restaurants, which can pass it on to their customers. Portions of this year’s tax revenue were earmarked for healthy-food and early-learning programs, community-college scholarships and administrative costs. The city is paying UW researchers $520,000 to study the effects of the tax, and the city released a baseline report by the research team Wednesday. Sugary-beverage consumption seems to be lower in Seattle than in South King County cities, lower than in similar cities elsewhere and lower than the national average, according to survey results in the report. Though an overall majority of adult Seattle respondents backed the new tax for public-health reasons, support was below 50 percent for black and Asian respondents, the report says. Some respondents neither approved nor disapproved of the tax. This fall, the research team plans to present how the tax has affected the beverage consumption of a group of low-income children and their parents, along with findings on how the tax has changed prices in certain stores. Also later this year, the researchers plan to report on how the tax has affected beverage sales. Next year, they intend to report on whether adult attitudes have changed. Anecdotally, the tax seems to be deterring some consumers from buying sugary beverages in Seattle or at all, Jones-Smith said. “I’ve heard stories about sticker shock,” she said. Philadelphia’s sweetened-beverage tax, which took effect last year, is being studied and appears to have reduced sales, Jones-Smith said. Revenue in the first year there came in below what officials had estimated. Seattle and Philadelphia are very different cities, she cautioned. The beverage industry has qualified a statewide initiative for November’s ballot that would prevent other Washington cities and counties from imposing taxes on sugary beverages.